School of Rock is a music school for all skill levels, ages, and musical aspirations. With a results-driven program that focuses on balancing individualized lessons with group practice sessions, it’s only a matter of time before students are performing like real rockstars. The goal of most, if not all, aspiring musicians is to be able to perform in front of an audience with pride. When a rocker-to-be walks into School of Rock for the first time, they are immediately greeted with an UPshow screen littered with students showing their chops. Nothing is more convincing than the authentic success stories of other customers! The UPshow screen isn’t just for students! School of Rock celebrates their teachers onscreen too, helping students feel connected to their instructors by getting to know them better, which in turn builds customer loyalty. Plus, seeing their mentors are posting will encourage more reserved musicians to share their experience too, getting the word out to all their followers. 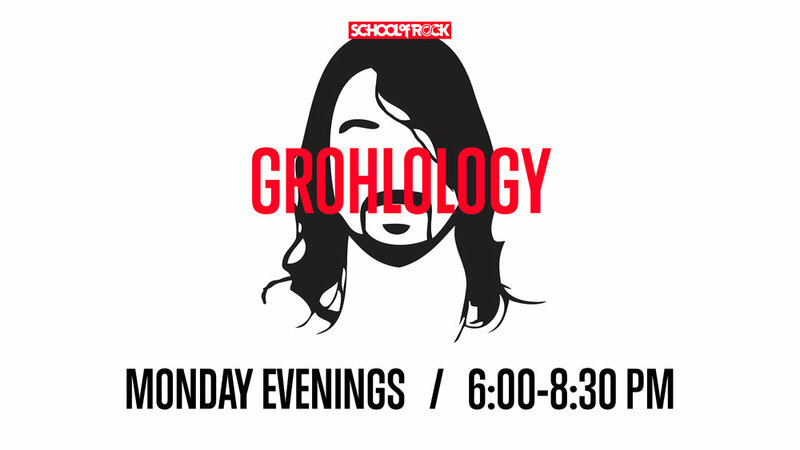 School of Rock is a cool place with even cooler marketing materials. That said, with so many exciting classes and events always happening, it would be easy for these materials to get lost if they were posted up like your average signage. By sharing them on the UPshow screen, announcements for unique classes like the above get a moment on center stage, making it much more likely they’ll be noticed.